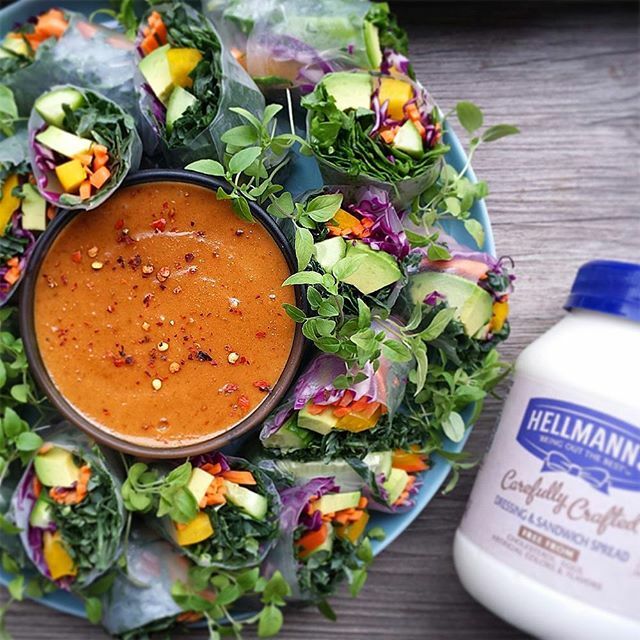 This summer, we partnered with Hellmann's to launch their new product, a vegan-friendly Carefully Crafted Dressing & Sandwich Spread. 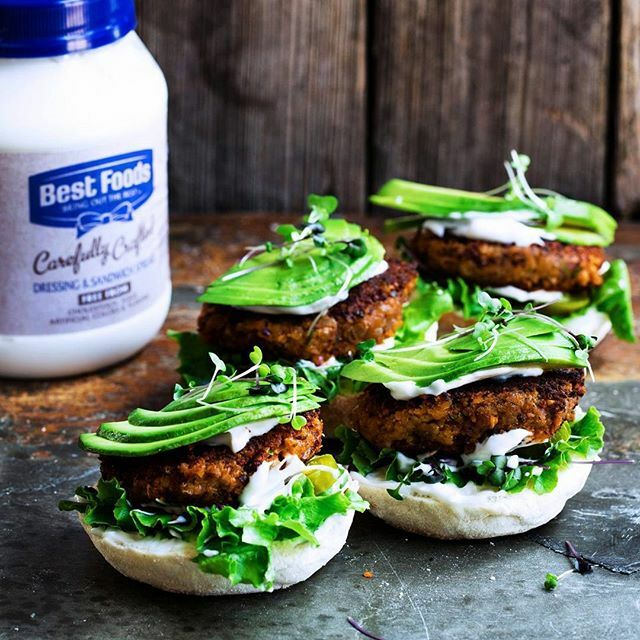 Over 15 members of the #feedfeed community created 30 unique recipes using the spread that ranged from a take on classic potato salad to a smoky quinoa, black bean and sweet potato veggie burger. 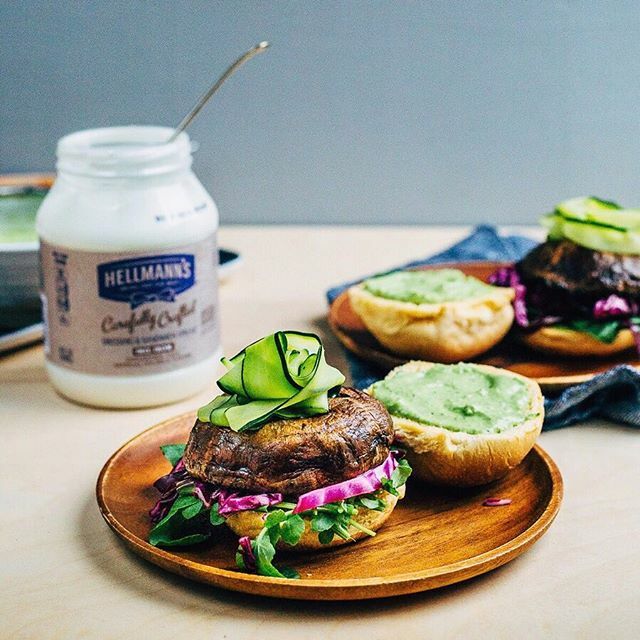 Last month, we teamed up again to announce the products' official vegan certification and to celebrate World Vegan Day, bringing the feedfeed community delicious recipes sponsored once again by Hellmann's. 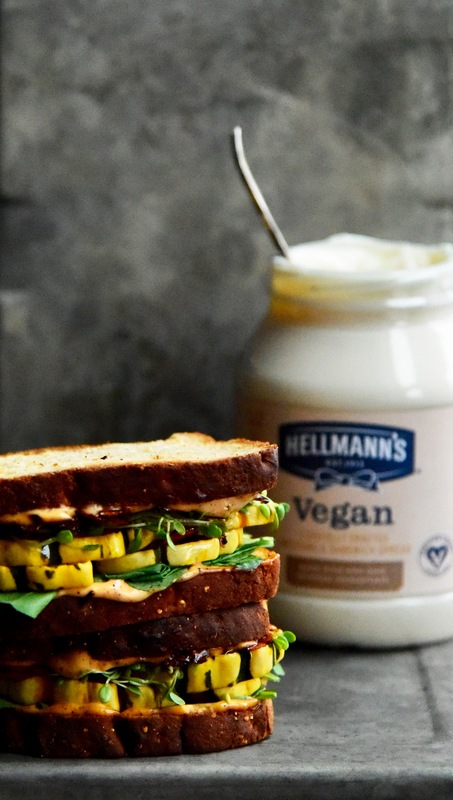 This easy sandwich will satisfy all of your fall cravings and might even fool some of your non-vegan friends. Warm, toasted bread spread with spicy vegan sauce and topped with roasted delicata squash, homemade smoky coconut bacon and fresh arugula. We love this creative take on pasta salad. 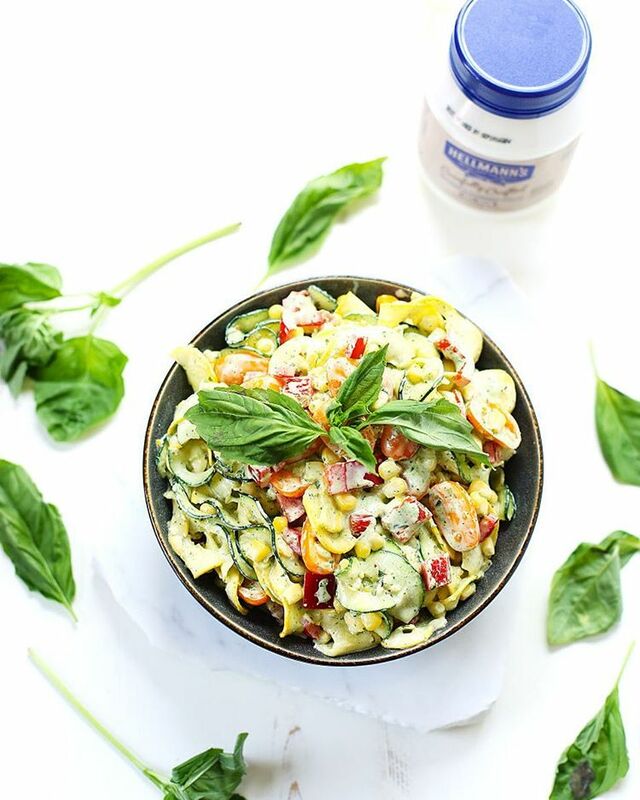 Ditch the noodles and replace with spiralized summer squash tossed in a creamy basil sauce. 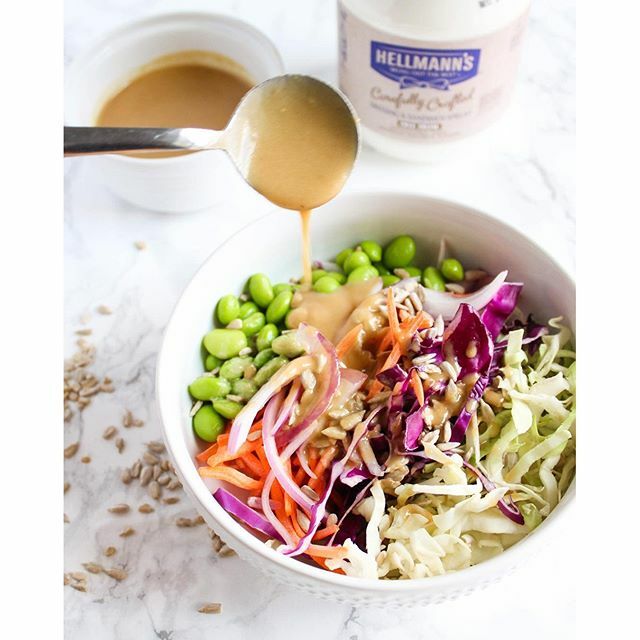 This vibrant summer slaw is made with shredded cabbage, carrots, onion and edamame, and dressed in a lemon tahini sauce for a bit of zing. Sunflower seeds make the perfect crunchy topping (and also add protein)! These vibrant shrimp tacos are genius. 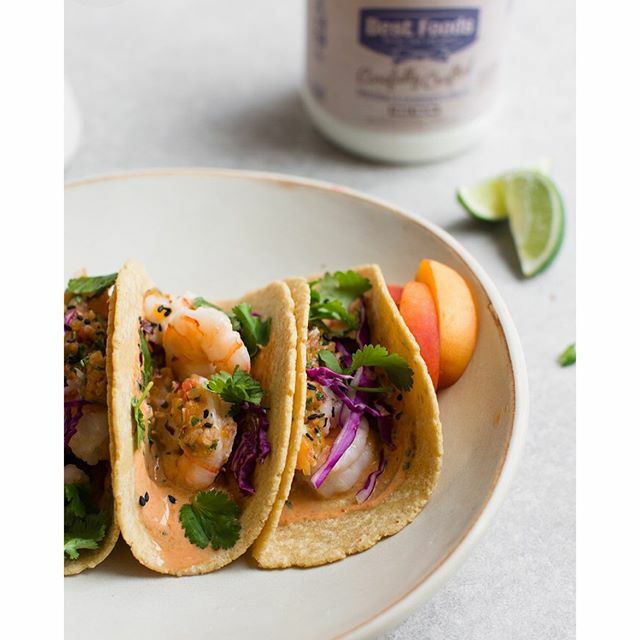 Chipotle sauce creates the perfect spicy base, which is balanced with a sweet apricot salsa for a mouthwatering taco that we want to try for ourselves! 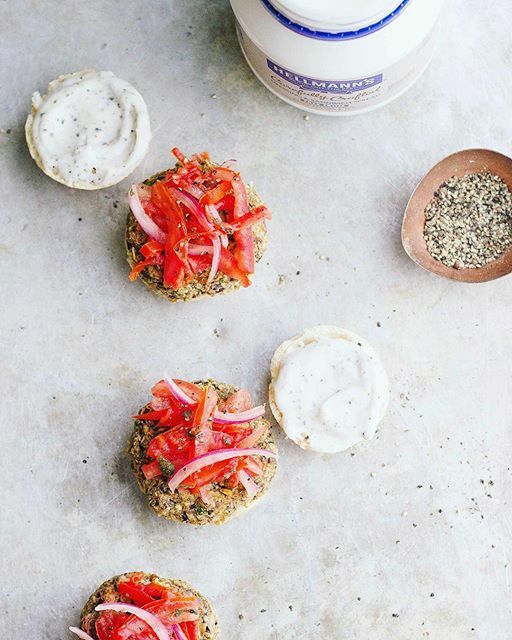 This creative take on a slider is gluten free, vegan, and packed with flavor. Give them a try at your next cookout! This crunchy slaw is ideal for any time of year. Pile it into a veggie burger, like @plantbasedartist did, or simply eat on its own or as a side dish. 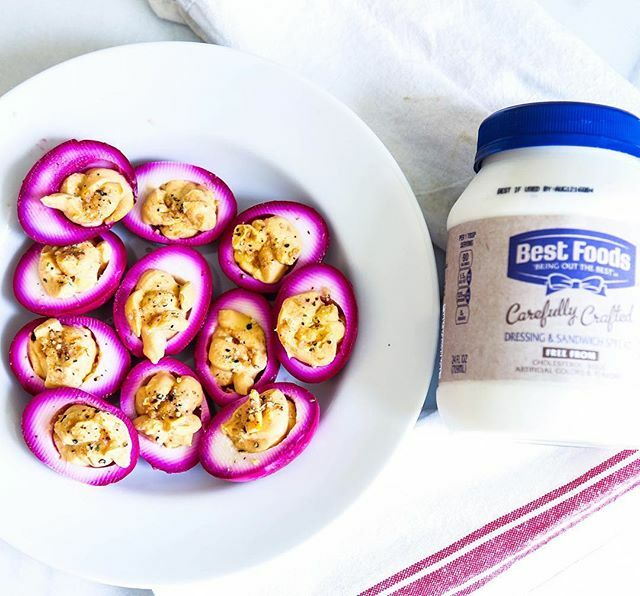 These beet-dyed deviled eggs make an eye-catching addition to any table. 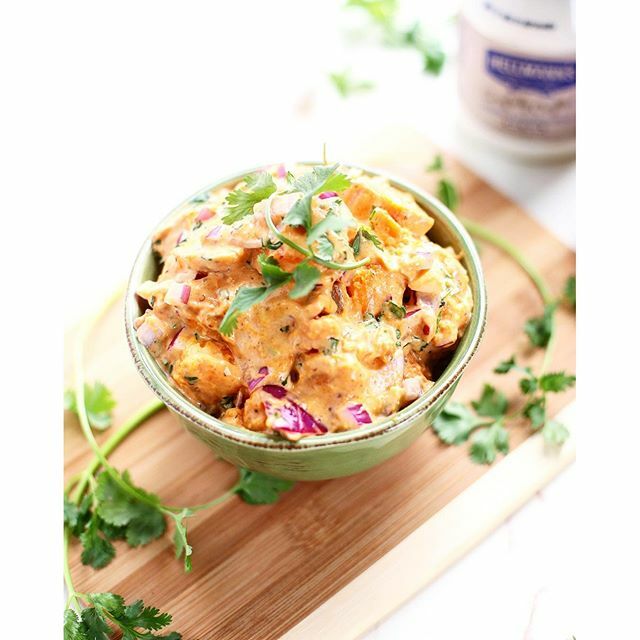 Serve as an appetizer or as a mid-afternoon snack! 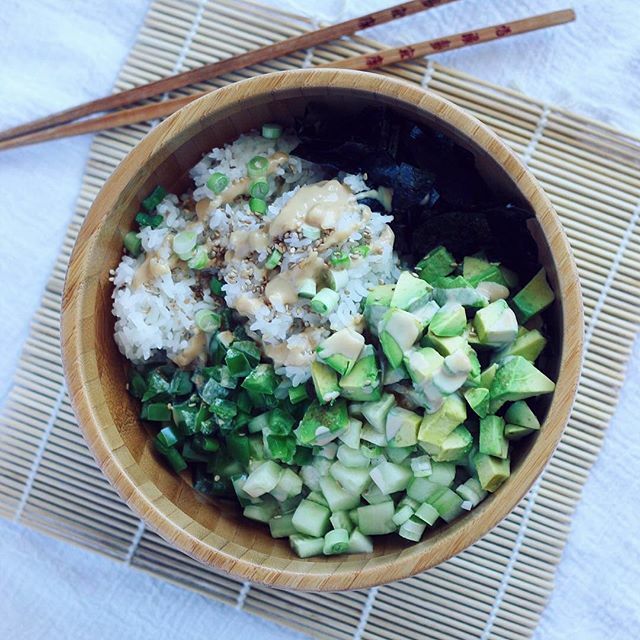 These summer rolls are the best way to use up all of your fresh summer veggies in one go. Wrapped in rice paper, they also make for a great portable snack. 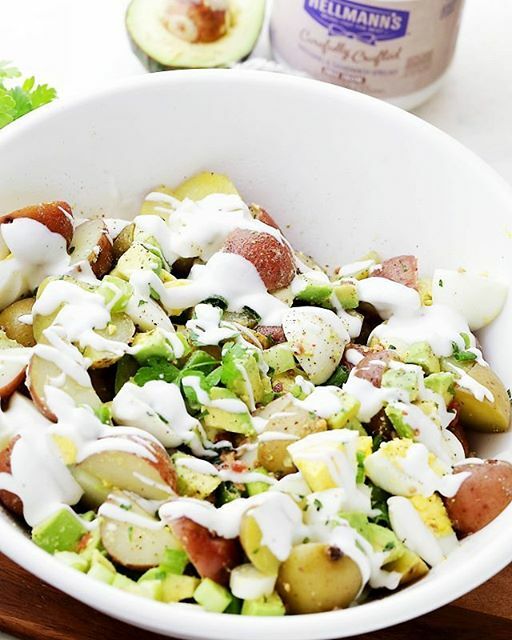 A fresh take on classic potato salad, this dish channels a lighter version of a BLT. 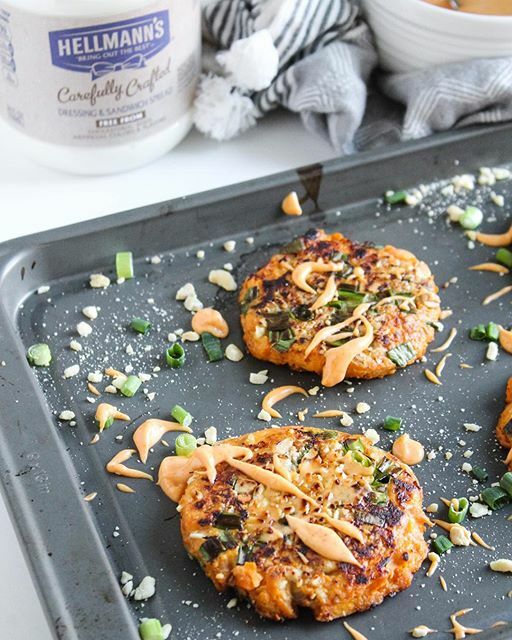 Breakfast, lunch or dinner, these creative sweet potato cakes deserve a place on your table. 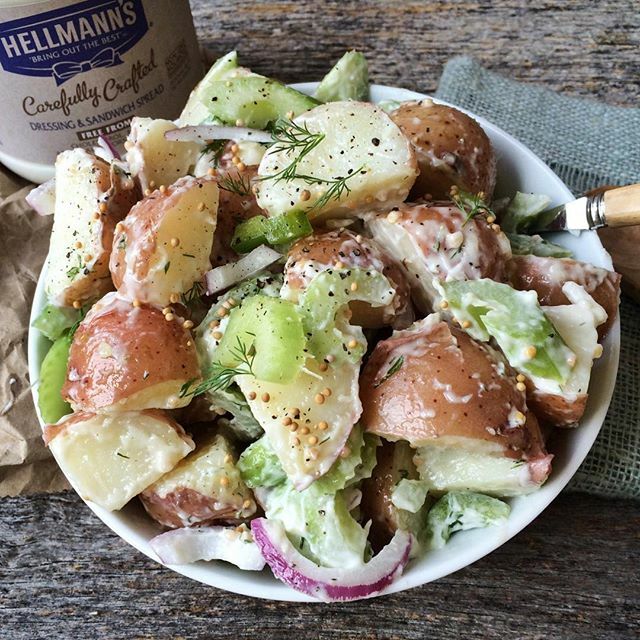 We love a good potato salad, and this vegan recipe has all the flavors & textures we'd look for. Tangy, crispy, and fresh! If you're not familiar with jackfruit, it's a fleshy, starchy fruit with a sweet taste and aroma that makes an excellent vegan substitute for dishes like pulled pork. Now's the time to try it, in this sandwich! This simple dish is not lacking in flavor. 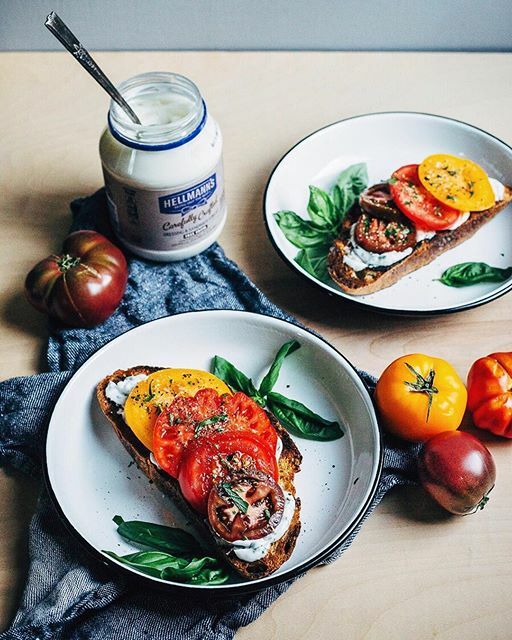 Toasted rustic sourdough bread is topped with a creamy herb sauce, fresh heirloom tomatoes, flaky sea salt and pepper. 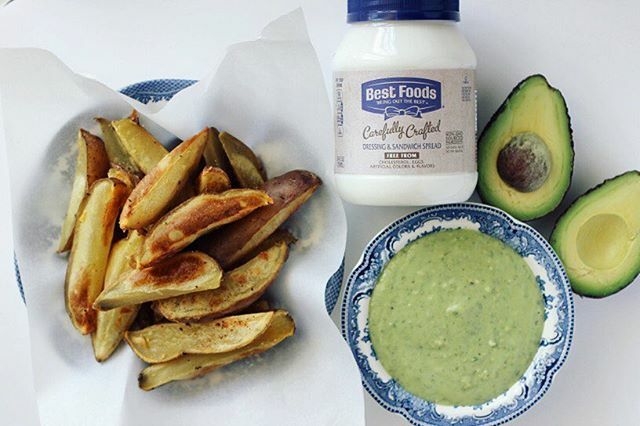 A healthier alternative to regular fries, these baked potato wedges are the perfect match for a dairy-free avocado ranch dip. 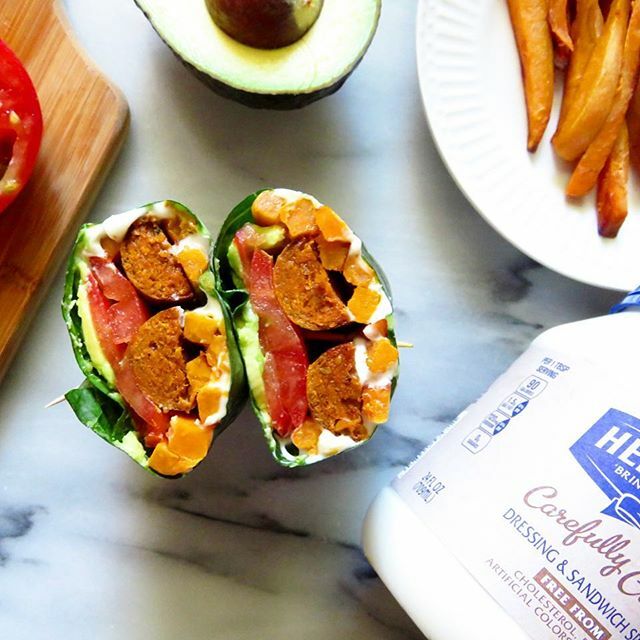 Collard greens make for a sturdy wrap filled with tofu sausage and Hellmann's vegan-friendly spread. Perfect for a quick, on-the-go lunch! 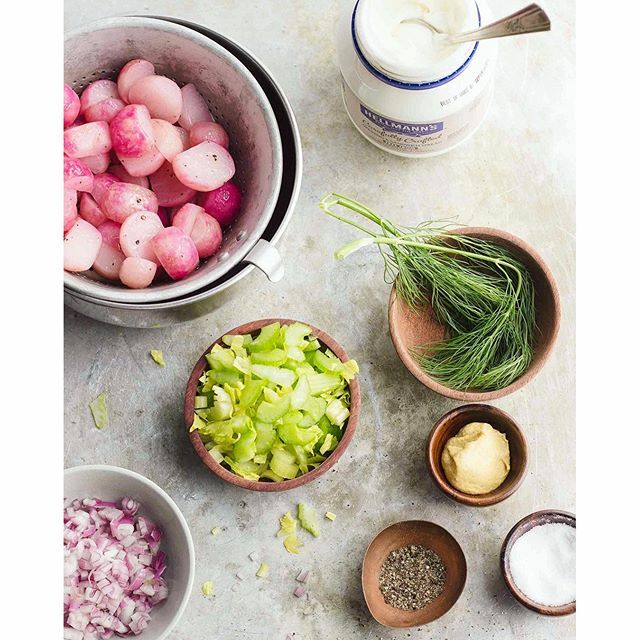 Looking for a lighter slaw recipe? 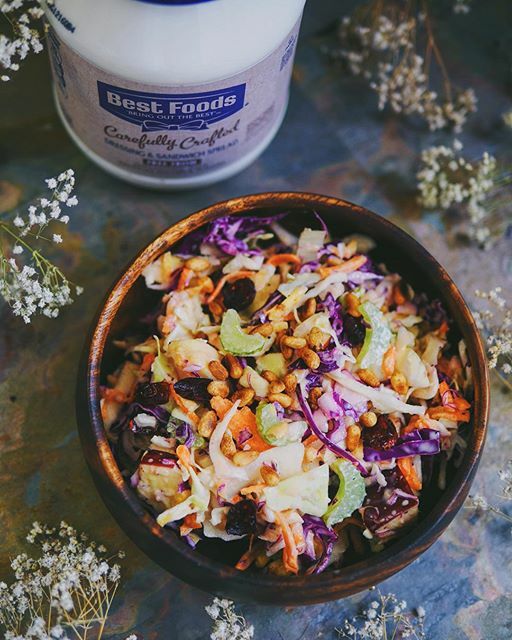 This dish has it all: crunchy cabbage, creamy dressing and toasted pine nuts for a delicious summery side dish. 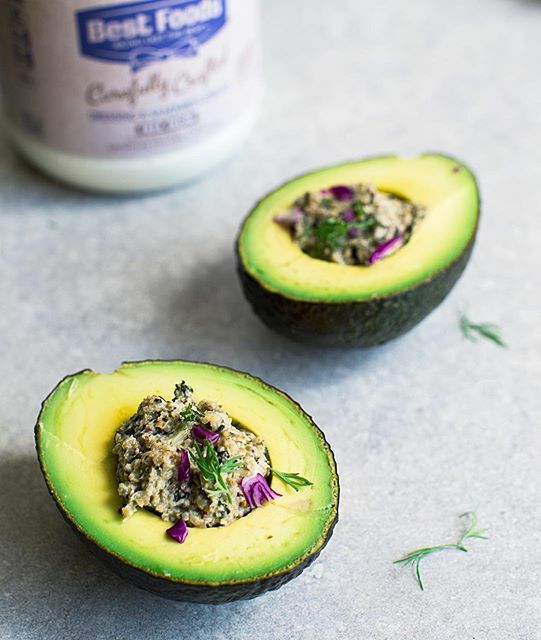 This mock "tuna" salad is made with a mix of sunflower seeds, nori and herbs for a rich flavor and satisfying crunch that works well in salads, sandwiches or stuffed into an avocado. 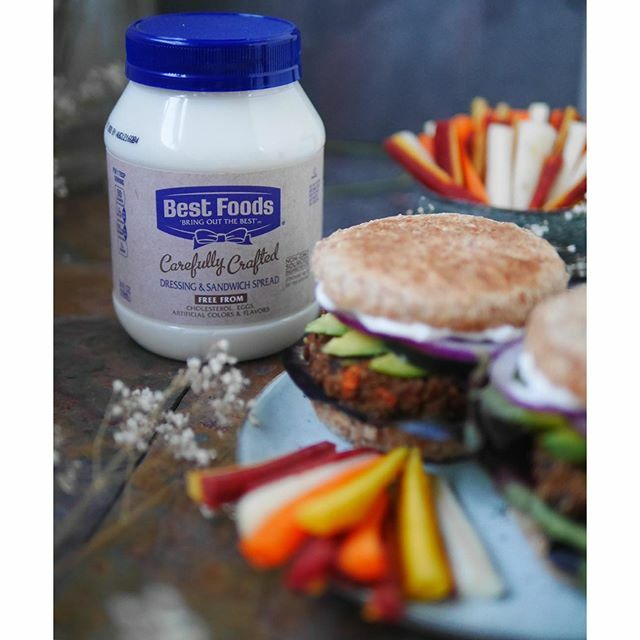 A go-to veggie burger recipe with a hint of spice and a cooling vegan spread. 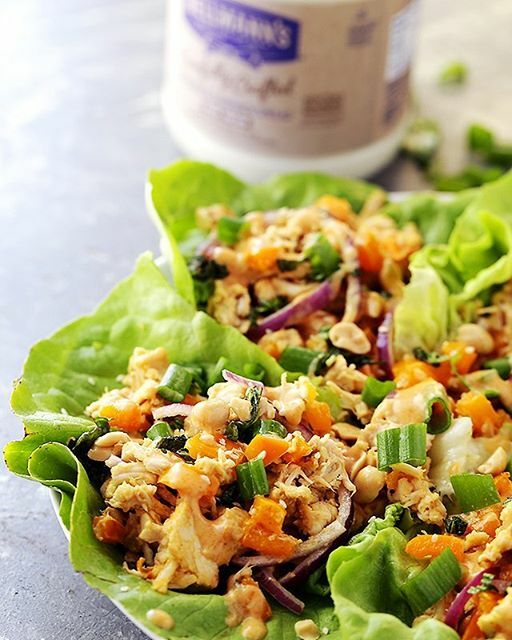 These Thai Chicken Lettuce Wraps are great for an easy weeknight meal that the whole family will love. Bookmark this recipe for your next summer BBQ! 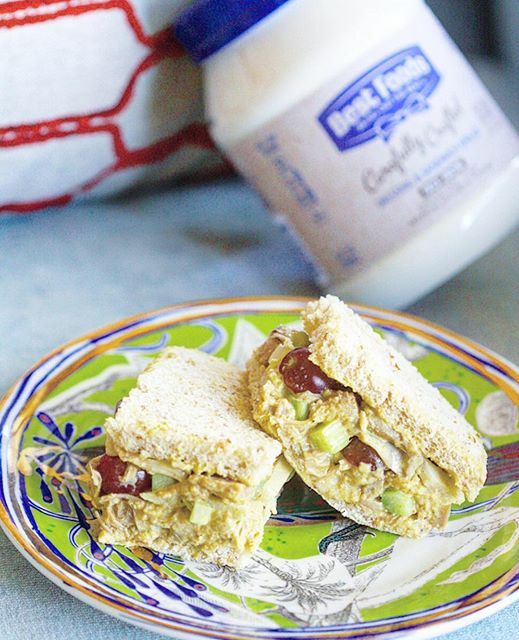 We love this vegan rendition of a chicken salad sandwich, made with creamy chickpeas and a unique combination of spices. Crunchy, bright and refreshing-- just what the perfect summer salad needs! 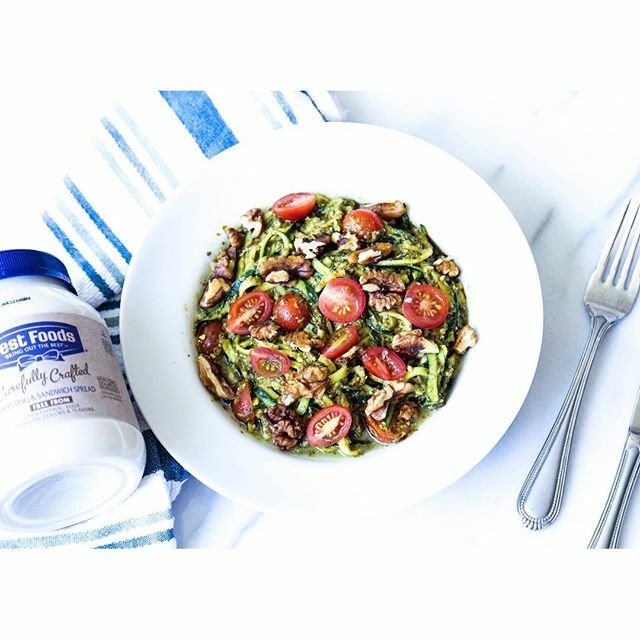 If you're looking to cut down on carbs or simply incorporate more vegetables into your diet, give these zucchini noodles a try. 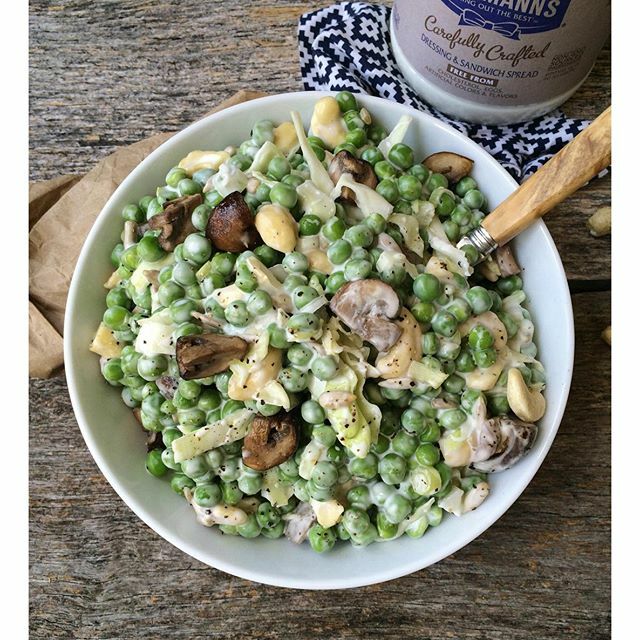 A unique side dish to bring to your next summer gathering: fresh sweet peas, sauteed mushrooms, cashews, sunflower seeds and cabbage tossed in Carefully Crafted Spread. 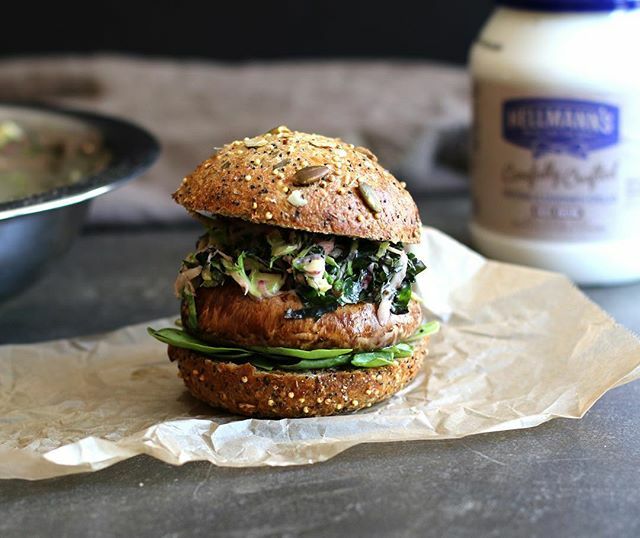 Shake up your veggie burger routine by swapping a patty with a grilled portobello mushroom, zucchini ribbons and an herbaceous green spread. 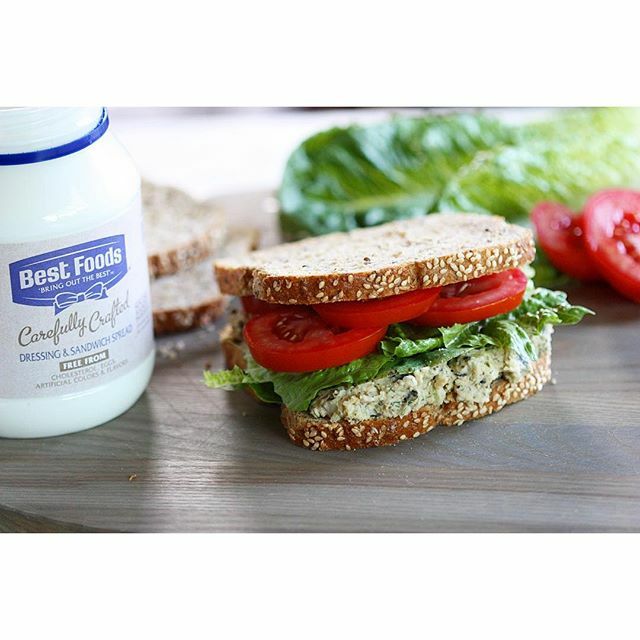 Spice up your packed lunch with this creative chickpea salad sandwich. 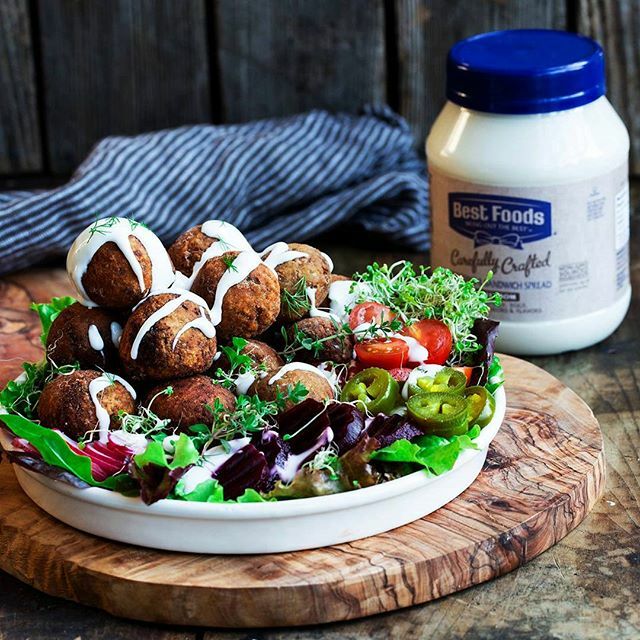 Homemade falafel is easier than it looks. Try this recipe, and use it as a salad topping or stuff it in a pita! 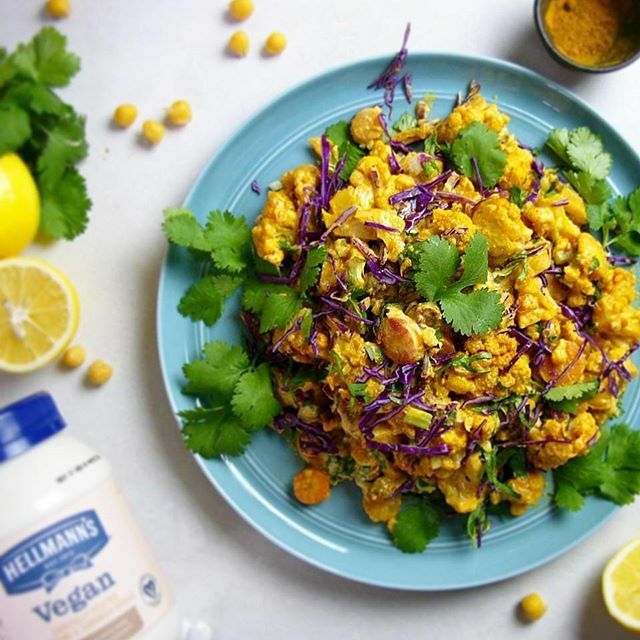 A vegan-friendly spin on a BBQ classic. This flavorful autumn salad packs a ton of flavor! 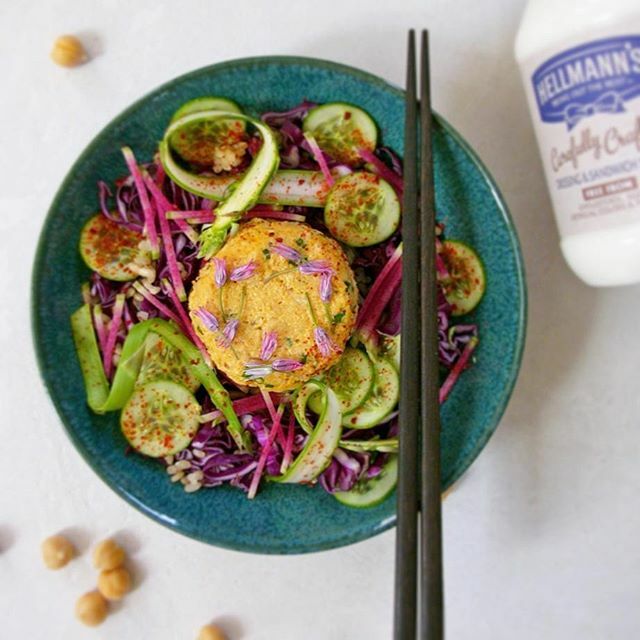 Tempeh, a fermented soy product, is the secret to this vegan-friendly mock tuna. We love the addition of kimchi! Who doesn't like a good breakfast taco every now and again? 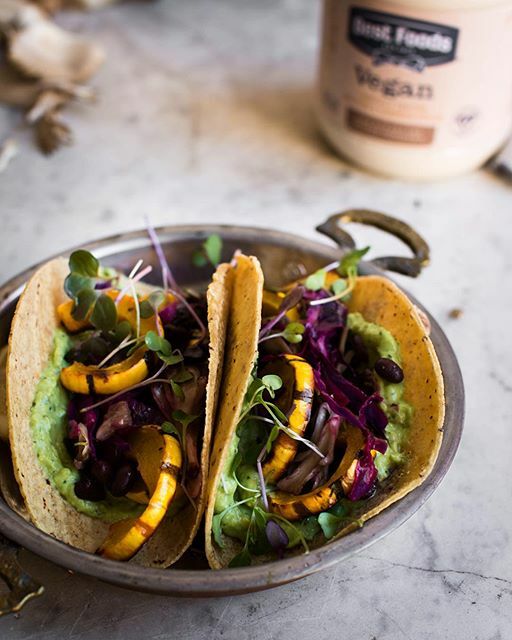 This fall-inspired breakfast taco with a creamy avocado sauce makes for the perfect weekend brunch. A much easier way to bring your favorite sushi flavors into your own kitchen.